Some of you may have noticed the new equipment that we have on the tables between the Circulation Desk and the Reference Desk. The first item, with which you might be familiar, is our repurposed 20″ TV with a built in DVD player. Last year, we started advertising our DVD collection via the LCD screens around the school, and now we want to make it even easier to watch those skills DVDs in the library (this is especially helpful if you don’t have a DVD drive in your laptop). Headphones are available at the Circulation Desk for your listening enjoyment (and the quiet for those around you). Our other new item is probably less familiar. 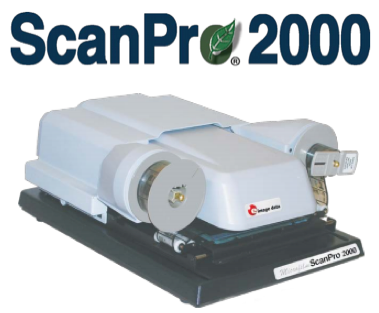 This machine is called ScanPro2000, and it’s equipped to scan 16mm roll film, 35mm roll film, Aperture cards, positive and negative microfiche, microfilm, and micro cards with expert precision. Neat, huh?! 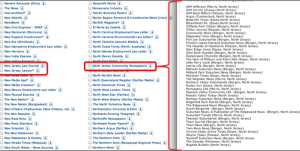 The scanner has OCR (or “optical character recognition”) features and can turn your scans into searchable PDF documents! (Doesn’t that make you itch to get into your next research project?!) We kindly ask that you seek out a reference librarian before using this machine. If you have questions regarding either piece of new technology, please do not hesitate to ask a reference librarian or email the library at lawlib@camden.rutgers.edu.